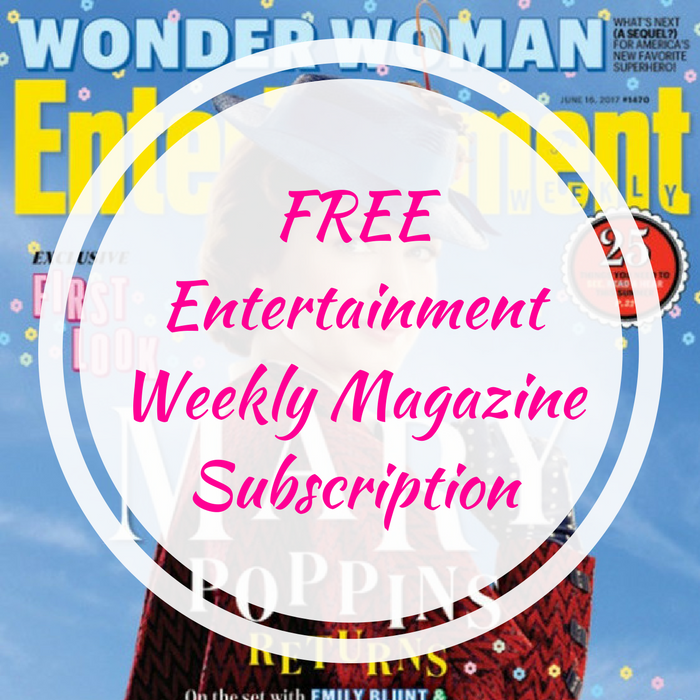 FREE Entertainment Weekly Magazine Subscription! You are here: Home / FREEbies / FREE Entertainment Weekly Magazine Subscription! FREEbie Alert! Click here to score a FREE 1-Year Entertainment Weekly Magazine Subscription! All you need to do is Sign Up and complete the surveys to earn points enough to cash out this FREEbie! Redeem $30 in points for a FREE Entertainment Weekly Magazine Subscription!